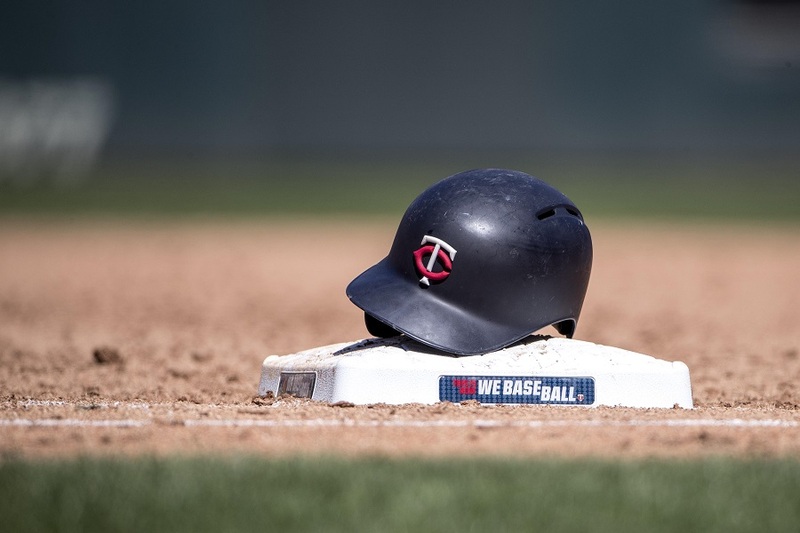 Coming into the 2019 Major League Baseball season, the Minnesota Twins will have plenty of organizational changes. From coaches to players throughout the system, there have been plenty of new developments. Among the biggest changes is the shift from a Double-A squad in Tennessee to one in Florida. The Pensacola Blue Wahoos will play home to some very exciting future Twins this season, and it's time to introduce them to Twins Territory. Having reached out to the Blue Wahoos in hopes of best representing and introducing them to Minnesota fans, I was presented with the idea of a guest article. Senior Writer Bill Verona put together a great piece and Media Relations Manager Daniel Venn did an exceptional job coordinating things. Before you're introduced to this new affiliate over the weekend at Twins Fest, here's an opportunity for them to introduce themselves. All right, Twins fans, so you’re intrigued about this new partnership with the Pensacola Blue Wahoos as the Double-A affiliate. It’s new for everyone here, too. The Blue Wahoos were the Cincinnati Reds’ affiliate in the Southern League since the team’s inception in 2012. First, let’s start with the name. Blue Wahoos won the fan vote of choices and it’s a good connection. A wahoo is a sport fish, found in the nearby Gulf of Mexico. Edible for humans, especially appetizing when cooked grilled or blackened. The species is fast, fierce, not easy to catch, and surprisingly strong, but not quite like a shark. Blue Wahoos is connecting the blue waters here, along with homage to the Blue Angels, the U.S. Navy flight demonstration squadron, based at Naval Air Station-Pensacola. People here are rightfully as proud of the Blue Angels as they are Blue Wahoos Stadium or the sugar-white beaches nearby. The stadium was built on neglected land along Pensacola Bay, which leads into the Gulf of Mexico. So, there is normally a breeze, which helps keep the stadium comfortable in mid-summer. From the ballpark to Pensacola Beach, it’s an 8.8-mile drive. Blue Wahoos owners Quint and Rishy Studer went through a six-year odyssey to see this stadium finally become reality. Just like everywhere else, there is never universal support for stadiums when using public money, no matter how much. They invested millions to make it happen. Since the day it opened, the stadium has been transformational for the downtown area of Pensacola, community pride and adding to the quality of life in the community. The Studers previously owned the Pensacola Pelicans, an Independent League team that formerly competed in the American Association that includes the St. Paul Saints. That team played at the University of West Florida baseball field and it was called Pelican Park during the summer months when the team played. 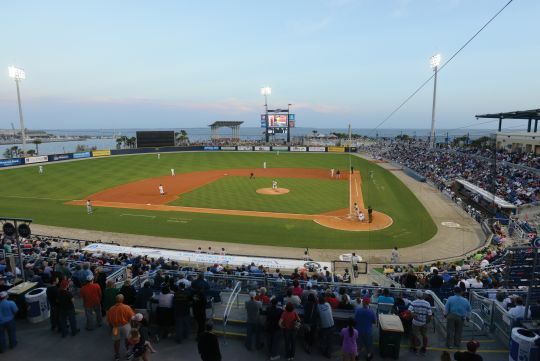 Blue Wahoos Stadium, part of the Community Maritime Park project, is used year-round. The University of West Florida football team, an NCAA Division II member of the Gulf South Conference, has made the stadium a unique home-field setting since beginning a football program in 2016. The stadium also hosts everything from sunrise Easter Sunday services to weddings to dinner events to Fourth of July celebrations to an NFL Flag Football youth league sponsored by Pro Football Hall of Fame linebacker Derrick Brooks, who grew up in Pensacola. When the Blue Wahoos opted to switch affiliations, the Minnesota Twins were the overwhelming choice in a fan poll when paired with the San Diego Padres. Pensacola has a couple things in common with Minnesota. Both are in the Central Time Zone. Both have plenty of waterfront land. Both are in areas where the weather can quickly change, just not in the same way. It has spit snow here in rare years since weather has been recorded. But most winter days feature afternoon temperatures in the 50’s-low 70’s. When it gets below 50 degrees as a daytime temperature, people start shivering. Many of us have moved from other places, including areas like Minneapolis and other cold-weather places in the winter. It’s easy to get soft. But Pensacola is different weather than Fort Myers, the Twins spring training home on the Gulf Coast. That’s south Florida. The opposite side of the Everglades from Fort Lauderdale-Miami. Big difference. It’s a 10-hour drive from Pensacola and the winter temperature difference could be 20-30 degrees. Pensacola rests near the Florida-Alabama state line on Interstate 10. Mobile, Alabama is 60 miles away. You can drive in four states (Florida, Alabama, Mississippi, Louisiana) when traveling three hours to New Orleans. The Twins are only the second major league affiliation in Pensacola in more than a half-century. Prior to joining the Southern League, Pensacola’s last affiliated baseball team was the Pensacola Senators in 1962 in the Alabama-Florida League. Nice article. It answered questions I didn't even know I had but I am glad to know the answers. Here's hoping our Ft. Myers bats keep it going in Pensacola. Interesting...thought a "Blue Wahoo" was the full name for this particular fish.Didn't realize it's just Wahoo and the "Blue" came from the Blue Angels squadron. Learn something everyday I guess! Hey Everyone! I'm the volunteer Host Family coordinator for the Blue Wahoos. I can't wait for the season to begin. We're super excited to see the guys play this year because the team will be Numero Uno! Blue Wahoos stadium is beautiful, but what makes it really special are the management and staff of the stadium. Every time you go to a game, whether it's once or all of them, they make you feel welcome and fun. Yes, I am ready for the season to get going...a little hyped up I guess. When y'all come to see a game, ask for "Jami the Host Mom." I'm usually there, cheering on my boys. I'm going sometime this spring or summer. I'll do a picture report when I do. Go Twins! I think that the Twins might need to steal this name.The fans are blue after years of failure, but every little blip they want us to go Wah Hoo. The Lookouts had the coolest logo/emblem. Blue Wahoos? Wahoo? From a great nickname to a horrible one. What's in a name, anyway? The nickname is a fish. Miami has one too, the Marlins. What's "horrible"? Yuk. Personal taste, I guess. That and living in Charlottesville, VA for 26 years and hearing Wahoo way to much.